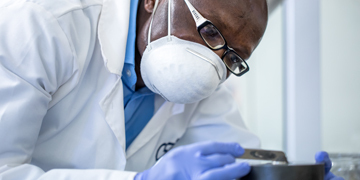 The CSIR is focusing on building world-class capabilities for the engineering and production industries, which involves localising and developing transformative and efficient ways to produce existing products or new products. These capabilities include the use of new and advanced materials and new technologies for products and manufacturing thereof. New capabilities to be built include a combination of product, process and business model innovation over the full life cycle of a product, aimed at digitalisation. 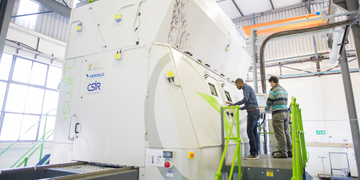 The CSIR Future Production: Manufacturing cluster focuses on numerous fourth industrial revolution technology areas with significant transformative impact on the engineering and production industries. 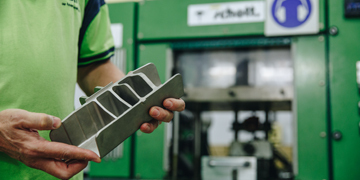 Laser technology and 3D printing: The CSIR has strong competences in the production of complex customised parts, which is expected to extend to the production of machinery in future. Advanced materials and processing technologies: New advanced materials and processing technologies have the potential to revolutionise the production line. Advanced materials engineering will result in improved product performance, cost and efficiency, for example creating polymer composites that result in lighter, more durable products and advanced surface engineering technologies to improve the life cycle of products. Automation and robotics: Robotics plays its part in manufacturing as an inspection and automated production platform, enabling the assembly, monitoring and inspection of materials, parts and machinery. Artificial intelligence: Cognitive technologies facilitate autonomous learning, decision-making and improved response rates. The use of such technologies holds benefits for autonomous machinery, automated warehouses, language processing and machine learning. Biotechnology: The CSIR designs enzymes/catalysts for use in advanced production environments for coatings, surface treatments, as well as waste and effluent treatment. Human enhancement technologies: The CSIR is set on improving production efficiencies through the deployment of wearable technology, enhancing physical and cognitive capabilities whilst enabling personnel to make better decisions. 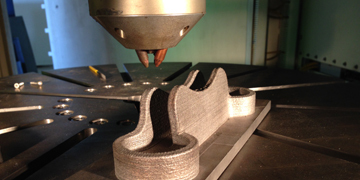 Such technologies include digital twin creation, plant simulation and rapid production development. Augmented reality will be used in the diagnosis of problems with machinery.